Yveltal in game: 1,557 Who? Important notice! Pokemon Yveltal is a fictional character of humans. Yveltal (Japanese: ????? Yveltal) is a dual-type Dark/Flying Legendary Pokémon introduced in Generation VI. Yveltal is the game mascot of Pokémon Y, appearing on the boxart. It is a member of the Mortality duo with Xerneas. 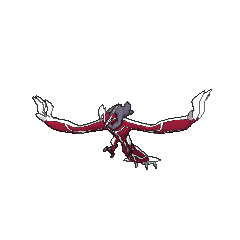 Yveltal is a large Pokémon with avian and draconian traits. Its body is dark in coloration and is adorned with grayish patterns along the underside. Yveltal's wings have three spikes on each extending along the bottom edges, close to where they meet the body. There are five large claws on each appendage, three of which curve inwards. 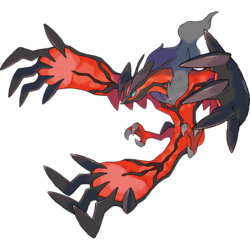 Yveltal's underside is bright red, with branching, black markings. Similar markings are present on Yveltal's head and neck. An Yveltal appeared in Diancie and the Cocoon of Destruction, alongside Xerneas. An Yveltal appeared in The Legend of X, Y, and Z! during a flashback. 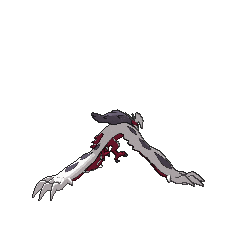 An Yveltal appeared in the Pokémon Generations episode, The Beauty Eternal, where Team Flare captured it so they can begin the next phase of their plans. 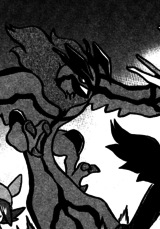 Yveltal debuted in the X & Y chapter alongside Xerneas. The two faced each other in a battle, which caused chaos and destruction in Vaniville Town. The two eventually stopped fighting and returned to their dormant cocoon and tree states, which are being sought after by Team Flare to power their ultimate weapon. Later, it was captured by Malva. 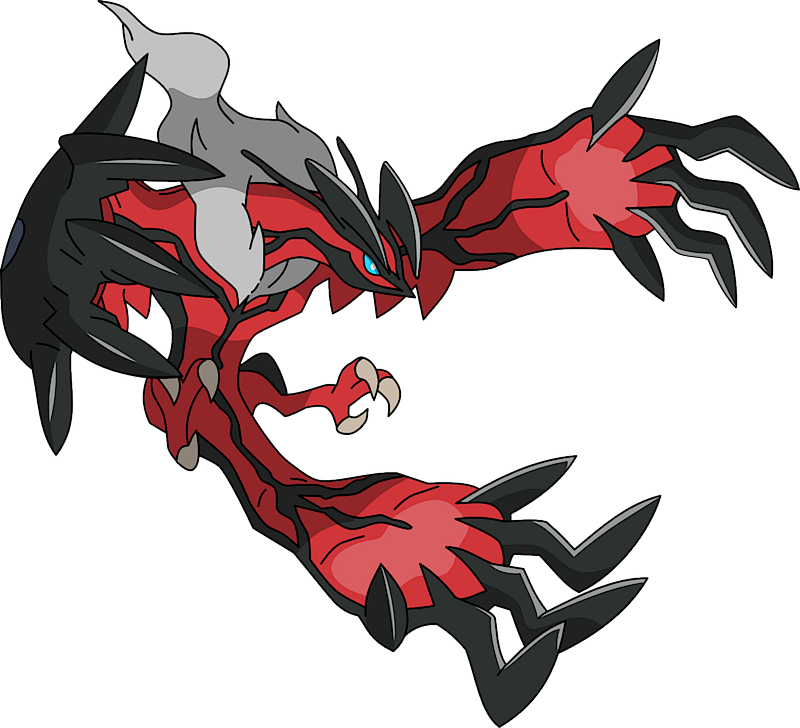 Yveltal is the only Dark-type Legendary Pokémon. 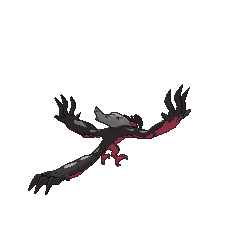 Yveltal's appearance is based on an avian in the shape of the letter Y, and as such has many similarities to the long-tailed widowbird. 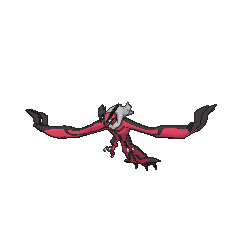 Yveltal also may draw inspiration from carrion birds such as crows and vultures. Jump up↑ Official Nintendo Magazine. Published 24 October 2013.